It is the biggest betting market in the world, where it is the bettors who make the odds by betting against each other. Register your account here for more advantages. €20 freebet + €1000 cashback. How does the €20 freebet works? Place your first bet of €20 or more, in any sport with odds > 1,50 and... if you lose Betfair will give you the €20 back. the money will be credited back on your account then you can use it as you like it. They'll credit your account within 72 hours of your qualifying bet being settled. How does the €1000 cashbakc works? You need to accrue Betfair Points in the 30 days from your date of account registration. You earn Betfair Points every time you bet on a market on the Exchange. You will earn 1 Point for every £/€0.10 of commission paid (if you have net winnings) or implied commission (if you have a net loss). Betfair Points are awarded equally whether you win or lose. Each level of points are worth a refund starting at € 10 for reaching 100 Betfair Points, and goes up to € 1,000 for reaching 30,000 Betfair Points! This €20 freebet + €1000 cashback bonus is the best you can find, but if you open the Betfair account here by our banner, you also win Academy points (know more) that will give you access to exclusive content and prizes on our store (see store)! If you open your account through the Academy, you can also join and win prizes every month at the Tips contests, with a 1st place prize of 180€/month. Know more about the Betfair Tips contest with a prize pool of 600€/month for our best Tipsters here. It is the world's largest betting exchange, where bettors make the odd betting against each other. 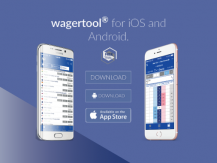 In the Betfair betting exchange you can buy bets immediately of the money that is on hold in the market, or you can place bets on hold for sale for someone to buy. This buying and selling mechanism is how a betting exchange works, you make money from the variation of the bet price. In 2013 Betfair also launched the bookmaker, Betfair Sportsbook, where you can only place bets in favor (normal bets on the event), with a more appealing design, simpler, and where it is easier to place multiple bets. One of the great strengths of betting on Betfair is the possibility of Cashout at any time (whether on the Exchange or Sportsbook), withdraw the profit or loss at any time of the game without having to wait for its end to see if you won or you lose the bet. On Betfair you can easily find the game you're looking to bet, because it has available an ever-present search bar at the top of the site. Betfair offers one of the best free livestream services so you can watch the live video of your favorite games, football, tennis, horse racing, etc.